Celebrate in style by booking the Great Hall of this magnificent medieval townhouse. Step back in time and discover the beauty of a medieval-inspired Christmas at our recreated townhouse. 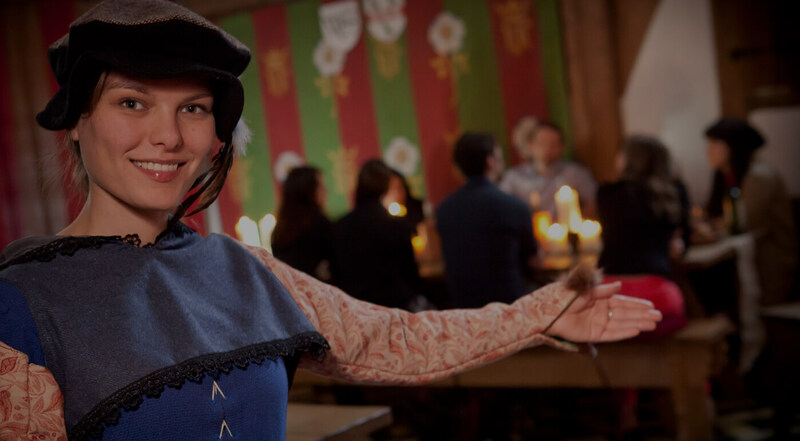 Your Medieval Banquet at Barley Hall will be a night to remember! Explore the frequently asked questions about the hospitality offer at Barley Hall.